ORLANDO, Fla. (AP) — A disgruntled former employee opened fire Monday inside a Florida awning factory, killing five workers before killing himself, authorities said. 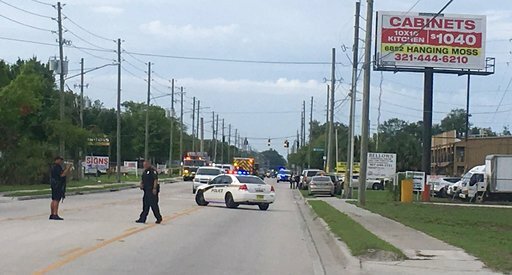 State and federal law enforcement officers converged on the industrial park in Orlando shortly after 8 a.m. after a woman ran from the awning business, Fiamma Inc., saying the gunman had told her to leave. She used the phone of a tile business across the street to call 911, said Yamaris Gomez, the tile store’s owner. The sheriff said officers were dispatched within 45 seconds and arrived two minutes later. The FBI also responded, said Ron Hopper, who runs the FBI’s Orlando office. “If people see something that seems abnormal, they need to say something,” Orlando Mayor Teresa Jacobs added.